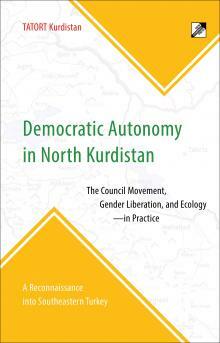 Democratic Autonomy in North Kurdistan – new book! In order to find a peaceful solution to the Kurdish question, the Kurdish Freedom Movement in Turkey has developed an alternative social model: Democratic Autonomy. The European Parliament Foreign Affairs committee (AFET) has produced a draft report on the European Commission’s 2013 (EU Enlargement) Progress Report on Turkey, published in October this year. The AFET is the first body within the European Parliament to assess the EC’s yearly progress reports and this draft is the first indication of the European Parliament’s official position on the report. AFET Report will be adopted most probably in January 2014 (the deadline for amendments is foreseen for next 8th of January, an AFET meeting is scheduled for the end of January), and then, after its adoption in AFET, it will be sent to the E.P. Plenary for final adoption in STRASBOURG. Before the final adoption of the report in March, there is an opportunity for interested parties to suggest amendments to the report. Peace in Kurdistan campaign made its own submissions last year, and will do so again this year. You can download a copy of the AFET draft report here. The European Parliament held a plenary debate yesterday to discuss a resolution on the 2012 Turkey Progress Report, published last autumn. Peace in Kurdistan has followed the process closely and provided a submission to the draft resolution, which you can read below. The final resolution was adopted yesterday, and can be downloaded here. Presentation by Peace in Kurdistan campaign for discussion of the draft motion on the 2012 Progress Report on Turkey, to be discussed in the plenary of the European Parliament on 17 April 2013. Murat Karayilan: We are making preparations, the other side should do likewise! Transcript of an interview with Nuçe TV. KCK Executive Council President Murat Karayilan and member of the Executive Council Presidency Ronahi Serhat, have made ​​important statements about withdrawing from the Turkish territory. Karayilan, pointing out the important responsibility on the Turkish Assembly, said “To ensure continuity of this process, it needs to be developed mutually. We are preparing for withdrawal, but the other side also needs to start preparations. To facilitate this process, our leader’s conditions of imprisonment need to be improved.” Ronahi Serhat stated that the channels for dialogue with the architect of the peace process need to be opened. KCK Executive Council President Murat Karayilan and member of the Executive Council Presidency Ronahi Serhat, answered the questions directed by the journalists Koray Düzgören, Erdal Er and Khaled Hermit from Nuçe TV. While the talks with the Kurdish Leader Abdullah Öcalan in Imrali are being debated, member of the KCK Executive Council, Cemil Bayık, evaluated the subject in his column published at the Yeni Özgür Politika and Azadiya Welat newspapers. Several conference papers from last week’s EUTCC Conference, entitled The Kurdish Question in Turkey: Time to Renew the Dialogue and Resume Direct Negotiations, have been made available in English. The final resolution of the conference is also available, and you can download the opening speech by Kurdish MP Leyla Zana(pdf) and Dutch academic Joost Jongeden’s paper, Rethinking Politics and Democracy in the Middle East(pdf).